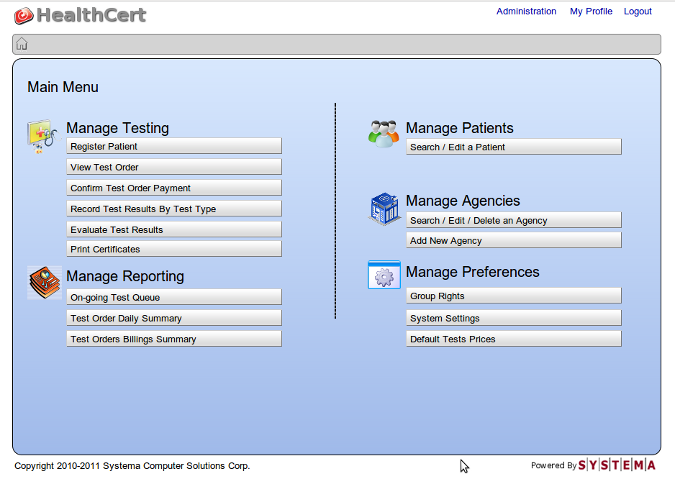 The HealthCert Lab Test System manages the testing process and allows Notre Dame Medico Dental Clinics, Inc. to produce employment cetificates for land and sea based OFWs. With the cloud based system and our managed services, Notre Dame Medico Dental Clinics, Inc., can concentrate on their business and leave IT requirements to us. The system was written using GWT/GAE using Google Datastore. Sales Force Tracking System using Android Phones. The system uses 2 apps, the Sales Force Logger and Sales Force Trakker. SF Logger is installed on a salespersons phone, while SF Trakker is installed on a manager or business owner's phone. 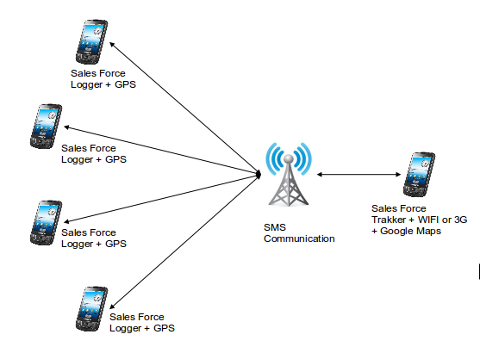 SF Logger sends a salesperson's GPS location via SMS in response to SMS queries by SF Trakker equipped phones. The SF Logger phone does not need an internet connection to work. Only GPS turned on and SMS is required. When SF Trakker receives the GPS location of the salesperson, the location is automatically shown on Google Maps on the phone. SF Trakker needs to be connected to the internet via wifi or a 3g connection for this to work. As a security feature, SF Logger can set the mobile no. of the SF Trakker phone that is allowed to request a location. Note that unlike other Sales Force tracking system SF Logger does not keep on sending location updates periodically, but only sends location updates when requested by SF Trakker. This saves on SMS costs if you do not have an unlimited SMS plan. Install SF Trakker and SF Logger from the Android Market. Install SF Trakker on the Android phone you want to use for displaying the locations of your Sales Force. This phone must have Google Maps app installed and connected to the internet via WIFI or 3G. Tip: Add the Mobile Nos. of your salespersons into your Contacts so you can just select from Contacts instead of having to type Mobile Nos. when trying to query a salesperson's location. Make sure the Mobile Nos. are entered in the form +639209218977. After you have entered the Mobile No. of the salesperson you want to locate, click on the LOCATE button. This will send an SMS to the salesperson equipped with an SF Logger app. Tbe SF Logger app will respond with the GPS location of the salesperson if the SF Trakker Mobile No. was authorized to request a location. When the location is received in SF Trakker, click on VIEW IN MAP to view the location in Google Maps. Install SF Logger on the salesperson phone. Enter the Mobile No. of the SF Trakker phone allowed to request for location information. Use the international format for Mobile No. ex. +639209218977. Click on ENABLE to make the app ready to receive location requests. You also have to turn on GPS for this to work.